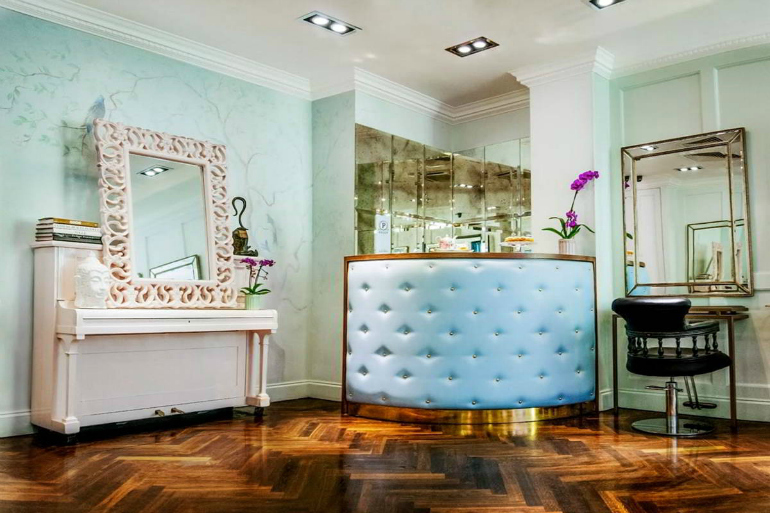 Preen is a premier Hair Salon, dedication to style, comfort and first class hairdressing expertise! Katherine Sweeney is the proud owner of the Preen Salon in Dublin. She is renowned for being an innovative hair stylist and can change a woman’s image in a heartbeat by using her highly honed cutting skills and her unique eye for what suits and what doesn’t. Katherine has created something truly special and unique that offers the ultimate pampering experience. Preen is a place where clients love to spend time having their hair done and her team love to work in. Whether you want to make a style statement with a ‘killer cut’ or just want easy to maintain, wearable beautiful hair, they can create your signature style with flawless cut and/or colour. But it is not just a hair salon, as you can indulge in their special extras such as the ‘Ritual Room’ and experience the Preen shampoo ritual, which incorporates the ancient art of Indian Head Massage. Or choose a complimentary refreshment from our unique cocktail bar.